In your first year, you’ll lay the foundations for your studies in psychology, getting to grips with the core theories and developing important intellectual and practical skills. Whether it’s social, developmental, clinical, cognitive or physiological psychology, your work will stretch across the psychology spectrum. You’ll develop your skills in the methods of psychological research, information technology, communication and critical thinking. 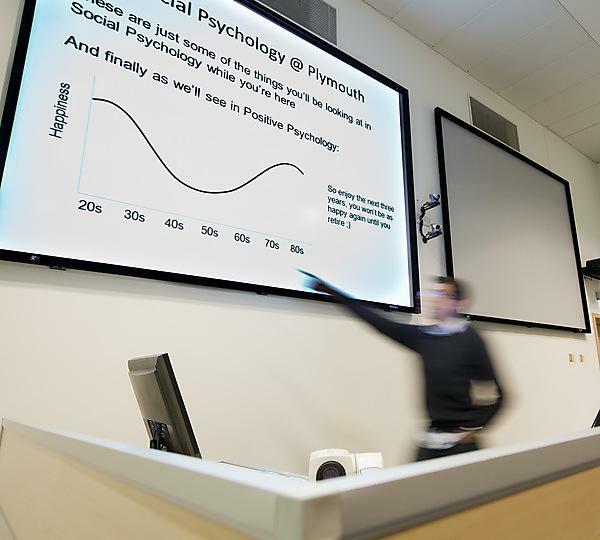 In your second year, you'll build on your growing knowledge of psychology, developing your understanding of how it is applied in practical, real life settings, as well as in research settings. As part of your second year, you'll also develop your critical understanding of psychology and put more sophisticated research methods into practice. Between your second and final years, you have the option to spend a year on work experience in our placement year scheme. In your final year you'll take part in academic debates, gaining an advanced understanding of the central areas of psychology. You’ll select advanced topics that reflect your own specialist interests and undertake a comprehensive piece of research as your final year project with the support of your academic supervisor.